At Full Circle Thrift, we rely on your donations! We accept clothing, shoes, purses, household items, linen, furniture, appliances, books, toys and other miscellaneous items. We ask that donated items be in workable and re-sellable condition. We do not accept firearms, ammunition, chemicals or tires. We have two trucks available for free pick-up for large items by appointment. Call 540.727.8716 to schedule pick up of your large donation items. 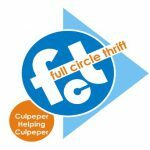 Full Circle Thrift primarily serves Culpeper, Madison, Orange, Fauquier, Rappahannock, Greene, and Louisa Counties, but have traveled as far as Charlottesville, Fredericksburg, and Washington, D.C. We also provide delivery service for purchased items for a small fee. 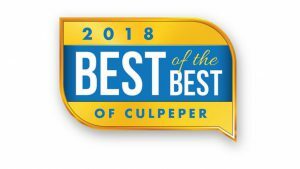 Tuesday – Friday 9:30 a.m. – 5:30 p.m. Copyright 2019 Full Circle Thrift. All rights reserved.